NEW COLOURS: You can now order your Sheet Material on bespoke RAL colours. You must mention it when placing your order and we will then call you for more details. Note this takes 20 days and is an extra 10% on the net price. What is the purpose of the Sheet Material Carts? The Sheet Material Cart is the perfect product to move large panels and bulky items such as wooden boards. 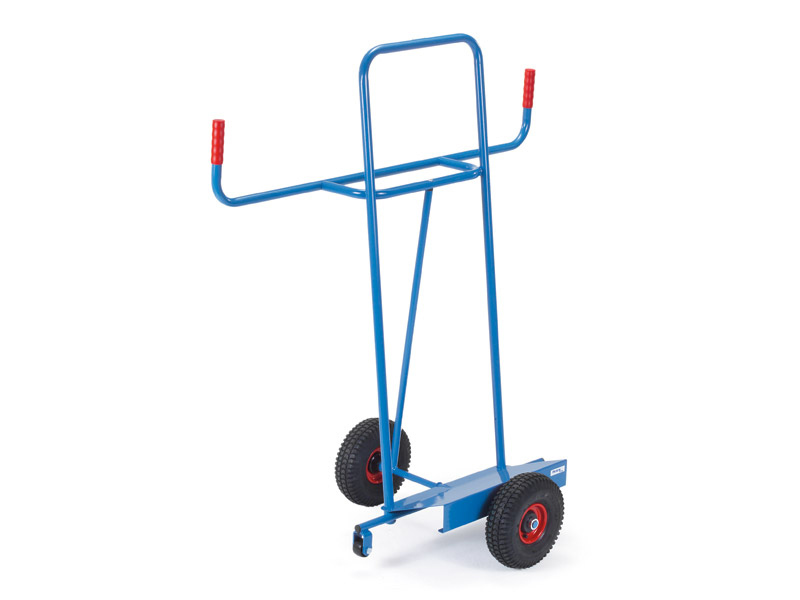 This material trolley is small and easy to use while moving the cumbersome products it needs to hold. Where can this Sheet Cart be used? 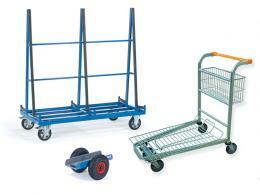 This material cart can be used in any setting where moving large panels is necessary. Whether it be at a warehouse, in a storage facility, or at a construction site, this product will come in handy to everyone involved in the building process. Who might use this Steel Cart? Used primarily by builders, distributors, and warehouse stock people, the material cart is an asset to every business type. The material cart is available in two sizes, 350kg, and 400kg capacity. 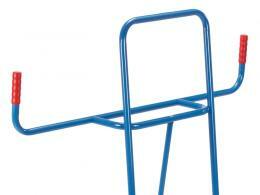 It is made from a tubular steel construction with steel sheet blade and powder coated in blue RAL 5700. 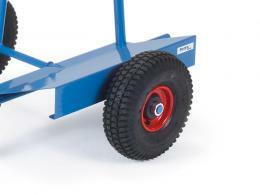 Fitted with solid rubber or pneumatic tyres, the wheel hubs come standard with roller bearings. Offering a great peace of mind that this product will withstand the test of time in the next decade, the material cart has a 10 year parts and labour warranty. If for any reason you are unsatisfied with your product, we will gladly accept back the product as a return and refund your money. Because The Workplace Depot refuses to be beat on service or price, if you find the same model at another retailer for a lesser price, we will gladly match that price on your sale. Delivery time for the material cart is an estimated 10-15 working days. All orders received before 3 pm will be processed the same day and all orders after 3 pm will be processed the following business day. We are pleased to offer free shipping to all destinations in the mainland UK.